This lively and informative narrative is interspersed with firsthand accounts taken from interviews conducted with the men who made/make up the Squadron. The first twenty-five years of the Squadron's history were spent on India's northwest Frontier, hence the Squadron motto 'First in the Indian Skies'. During the Second World War, it was occupied mainly in the Middle East and North Africa, before moving to the Burma theater for the remainder of the war. Upon returning to the UK in 1948, the Squadron performed communications duties until, in 1955, it joined the Cold War in West Germany, operating successively in reconnaissance and strike/attack roles. Operational deployment in recent years has seen the Squadron deployed during the Gulf War, the Iraq War, in Kosovo, and Afghanistan. 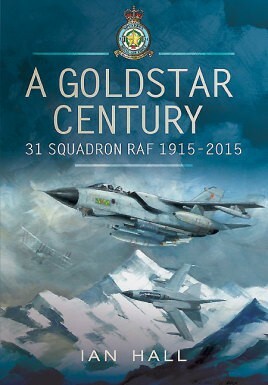 With troops pulling out of Afghanistan in 2014, 31 Squadron have now completed a circular history, and there seems no better time than now to commit it to print.